Is Salehoo legit? Well, Salehoo sells itself on being one of the best places to buy wholesale products online and learn the ins and outs of e-commerce. They have three different products available. You can get any of the products and are not required to sign up for any of their other products. The most popular product is their Directory at a cost of $67.00. They also have a store option where they will host and help you build a storefront starting at $27/per month. Finally, they have an Online Selling Tactics course that can be purchased for $97/per month or a lifetime membership of $247.00. The good news is they have over 8000 reliable wholesalers. These are real wholesalers that carry reliable brands of goods. This is the strong point of Salehoo. They have lists of wholesalers, drop-shippers, direct manufacturers, and liquidators. It is really hard to find reliable companies like the ones on their list. They have free training. You won’t have access to their directory but you can take a look around and learn a few things especially if you are new to the idea of wholesale buying and selling. They walk you through everything even how to get a tax id number and if you need to get one. They also have very useful forums and support. More about the support a little later. There are so many marketing forums out there that just miss the mark. Salehoo actually has a good and active forum that has people that are helpful. The only downside is you can get lost in the forum for a long time. They do have power-seller and user reviews that are very helpful. These point you in the right direction without having to contact all the sellers yourself. You can find out a lot of information from them for example what is selling what the minimum purchase is or if they will drop-ship. There is a huge value in this part of the membership. They have some search tools but they are not as good as I would like. It can take longer to find what you are looking for, though not impossible. It would be better if they had more filters. For example, if you wanted to search for drop-shipping companies that offered overnight shipping you would have to read the reviews of each of the power-sellers in order to know which ones offer this. You can do it but it takes time. They give you an unrealistic expectation. Like many other companies, they tout theirs to be the best and you will find instant success. While you can make money tomorrow using their systems and processes. It is difficult to sustain this type of work. However, if you build out your own website then over time you can build your clients and have a long term sustainable business. This coupled with the initial sales you make can help you in the short and long term. They have a great customer support system in place. They respond to you within 24 hours and in many times much quicker. You cannot, however, get in direct contact with the owners. A slight downside to other great programs that are out there. Salehoo is a great place for anyone who is looking for reliable wholesale distributors. It is perfect for someone who wants to open their own e-commerce store on something like Shopify, use on a TRex Ecom store, be an eBay seller, or an Amazon seller. The price point is right for the access to the directory. If you are in need of hosting and such they have that option available as well. There is a great deal of training available for the person just getting into marketing products online. But it can be used by anyone at any level. There are actually three different products that Salehoo produces. How to training on e-commerce. 1 year subscription to the directory and additional training. Okay so you kind of have a good idea about what I think of the product in general. The question is, “What do others think about it?” Well, they absolutely love it. Just check out this page where you can see many reviews of Salehoo and what users think about it. At the time of writing this, there were 61, current user reviews. These reviews have an average rating of 4.5 stars out of 5! It is actually pretty cool they talk about their own experiences, training, how much money they saved, and much, much more. Salehoo is not a scam it is legit. It is a great place to start if you want to buy wholesale products. If you are brand new online and want to learn how to set a company up from scratch, where to get products and how to sell them, Salehoo can help. There are some other good places to find great products as well such as Aliexpress. If you are not looking to open an online store but still want to make money online, I would suggest reading my top recommendation now! I had never heard of Salehoo. I had looked briefly into this kind of business of selling wholesale products online mostly through a site called Doba. But I never really looked into how to properly do it. This seems like a good site to get that training and learn more about it. They do also seem to have a good network of wholesale suppliers, which is good. The hardest thing in that part of the business is finding reliable companies to buy from Salehoo does give you an edge. It is not perfect but it is definitely better than trying to do it on your own. Great review…very good information. Why not just add a link to WA? I have a link to my WA review as well at the bottom of the post. Thank you for this post about Salehoo. It’s hard to tell who is a scam and who’s not especially when it come to the internet business. I’m glad to find a place that I can go to find out if a company is legit. Your very welcome Mike. I have been there and done that. I really just want to help people out. Let me know if there is anything else I can help out with. Nice review. I’ve never heard of this site before and will maybe explore it more. I think some wholesale opportunities have been given a bad rap. Thanks for the info on a legit program! The biggest problem you see with wholesale products is finding a reliable and real wholesaler. That is why it gets a bad rap. Salehoo at least points you in the right direction. Wholesaling looks like it can be very profitable. Is it the same as affiliate marketing and do you have to courier the products self to get it to the customers? It can be profitable. The hardest thing is finding reliable wholesalers. True wholesalers dont advertise too much to the general public so you may have to look through trade magazines and other sources. Secondly their websites are not always the prettiest things, again because it is not for the public. As far as courier the products it depends. Some wholesalers offer drop shipping. This is where you sell the product. Send them the order. They fulfill the product including your invoice and you keep the profits. Another option is to have the items shipped to you and then utilize Fulfill By Amazon FBO, of you dont want to handle fulfillment. You can read more about it here http://earnextramoneyhome.com/how-to-sell-a-product-online-a-quick-reference-guide but otherwise you may need to courier the products yourself. Thank you for the comment. Let me know if you have any more questions. Your review of Salehoo is really good. It gives information on what it offers and what is good and bad about it. I never heard about it and am glad that it isn’t a scam . I don’t like when these kind of programs always advertised as “Instant success” or “Make money fast” or whatever. Like anything else, it takes time depending how dedicated you are. You are absolutely right making money online takes time. 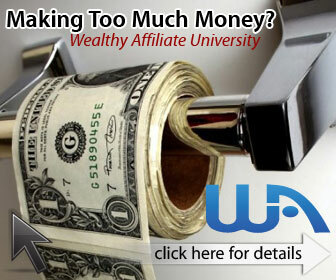 You might be able to make some money online quickly but it would never be a good business model. Salehoo doesnt have a lot of fluff and their approach is honest. I had known a little about Salehoo, but your post provided me good details about the program and what’s inside, but I believe it is not global as of now, I am from India and I am looking for some wholesalers to sell stuff on ebay and Amazon India, I am stuggling to find good supplier through Alibaba, Can you recommend something for me. Salehoo is a global company, they are Headquartered in Christchurch, New Zealand and have staff in Australia, Asia, and the United states. Please let me know if you are unable to use them in India, I have heard of others from India using them. I was not aware of how easy it would be to start an online buy and sale wholesale business. It actually sounds very interesting. How easy to understand is the training? Do you really think a beginner, that knows nothing would be able to learn? What do you think would be a good profit per transaction? Thanks for the comment and questions, The training they provide is good and easy to understand. It is easily setup for the beginner in mind. So the learning curve is greatly diminished. As far as the profit per transaction, it depends on the product you are selling. Margins can range from 10-35%. Obviously you would want to sell items with higher margins. It does take some work it is not a get rich quick thing here. I hope that answered your questions. Let me know if I can help you in any other way. I have never heard of salehoo before and it is really interesting now get to know about it. All we lack today is legit and correct information on internet but I thank you for giving such a great information I will give a chance to your offer but sometimes it’s still hard to believe which product is legit and scam. Thank you for your comment. You are correct it is very hard to know what is legit and what is not. So many marketers just go for selling you anything and everything. As you can see from my site, I give both good and bad reviews of things. Best of luck to you and let me know if I can help you in anyway. They have lists of wholesalers, drop-shippers, direct manufacturers and liquidators. It is really hard to find reliable companies like the ones on their list. I understand that the list can be difficult to navigate through. I think that is the hardest thing about the list. But once you get the hang of it you can find reliable companies from the list. Please let me know if I can help you. Salehoo sounds like a fantastic way to generate some money online, and I happen to know of one or two people with Salehoo ecommerce websites who are earning a full-time income. Thanks for your comment on your experiences with your friends. You are welcome to try it and if you have some questions I am always willing to help you out.